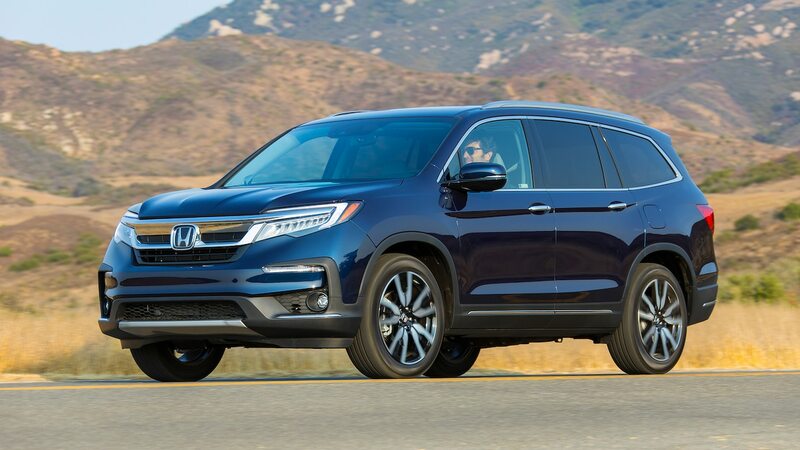 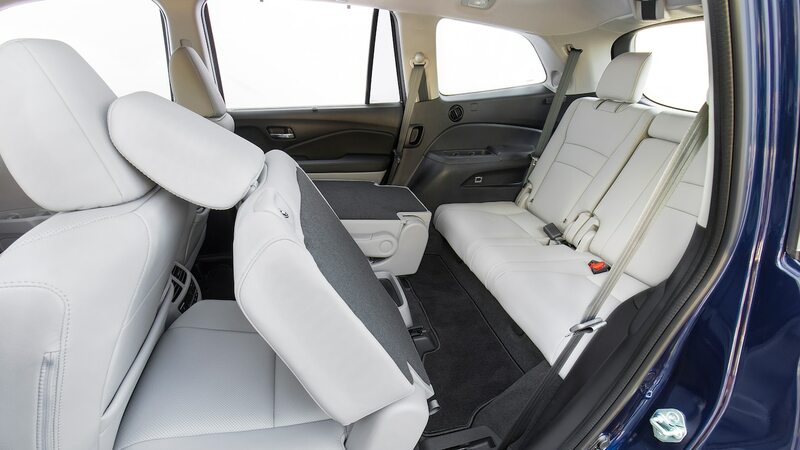 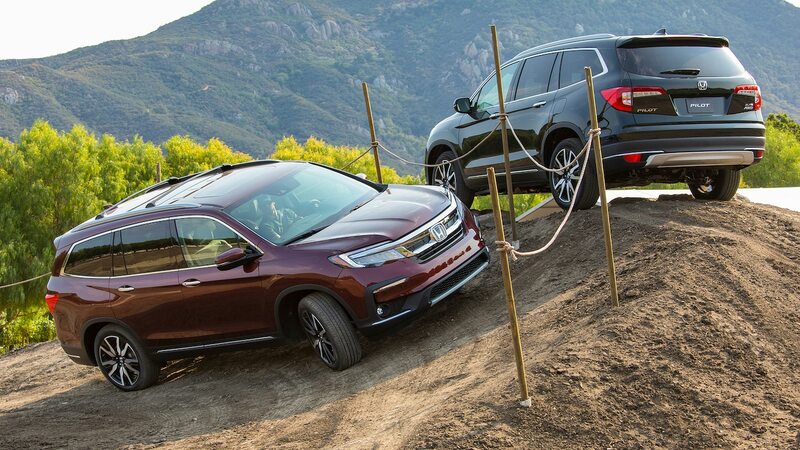 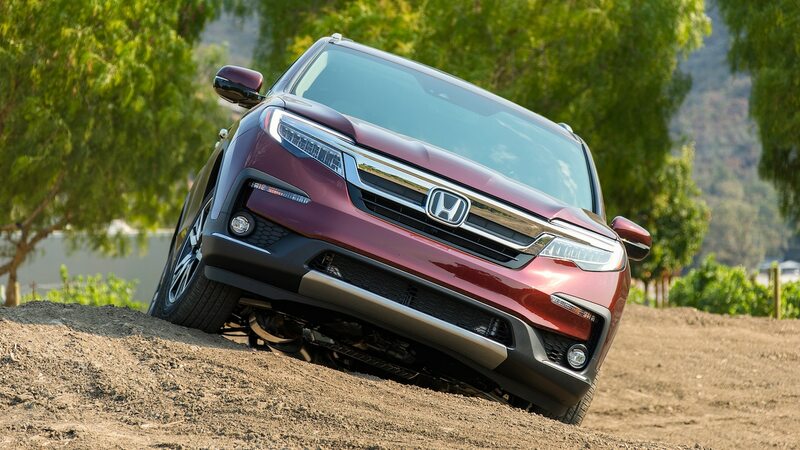 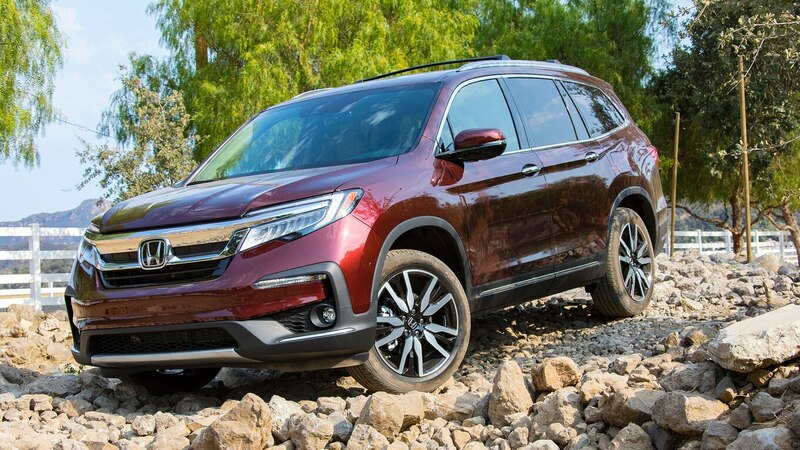 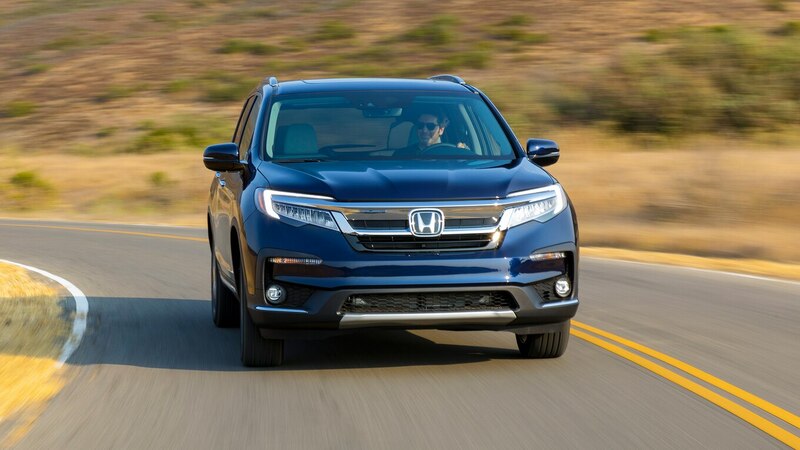 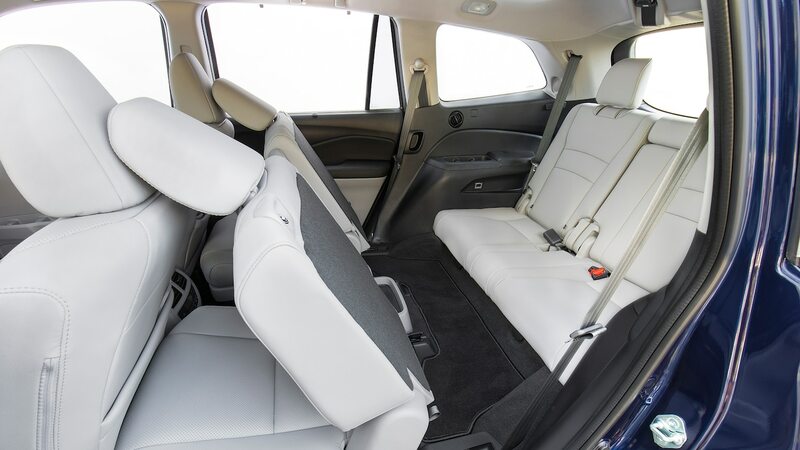 It seems like Honda launched the current-generation Pilot yesterday, but given the competitiveness of the midsize SUV segment, it’s not surprising that the three-row SUV is already receiving updates. 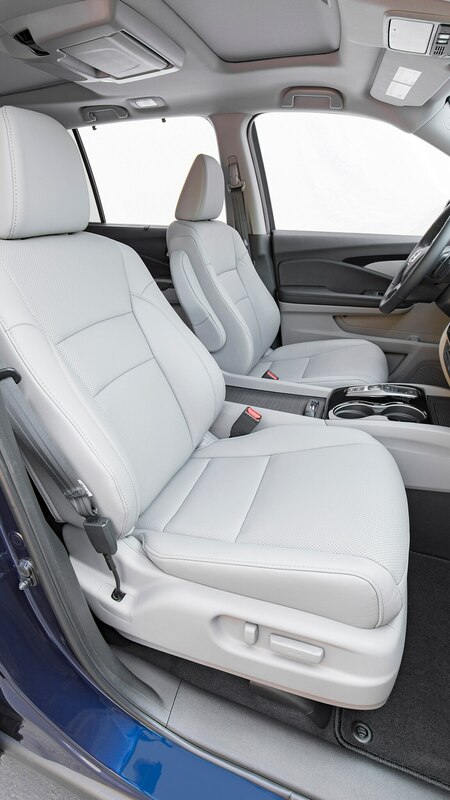 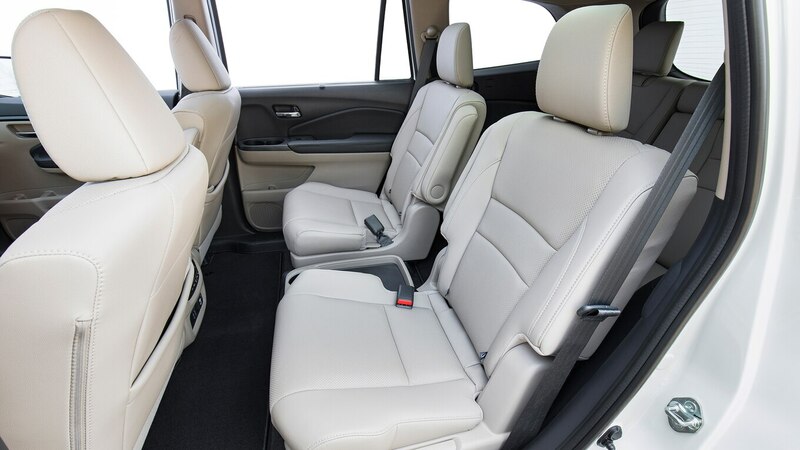 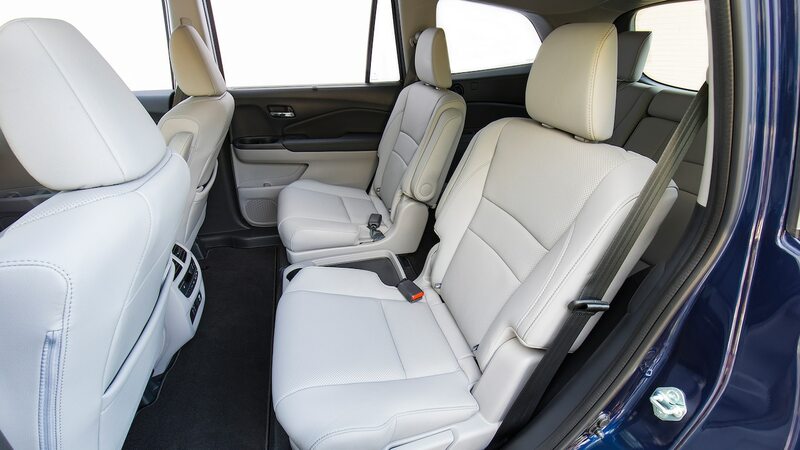 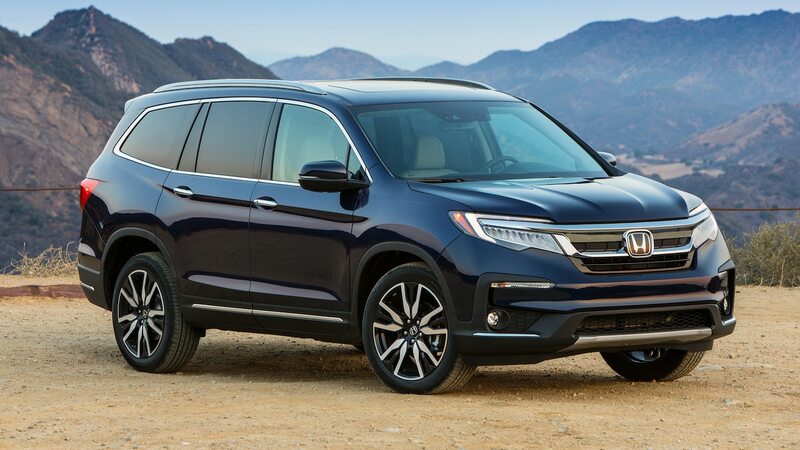 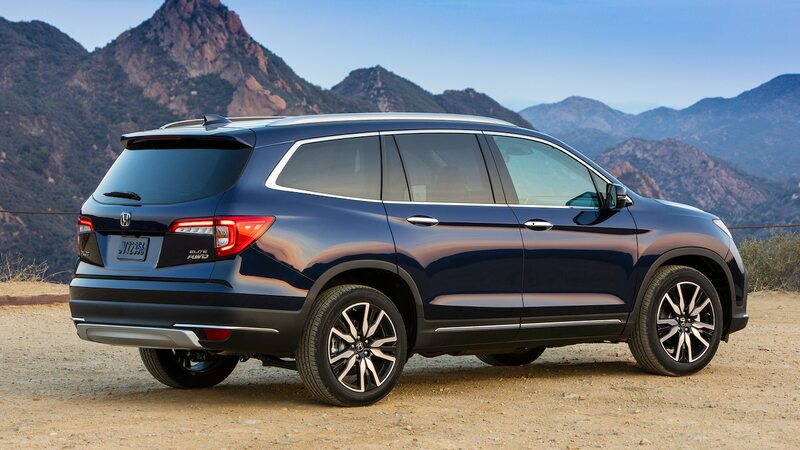 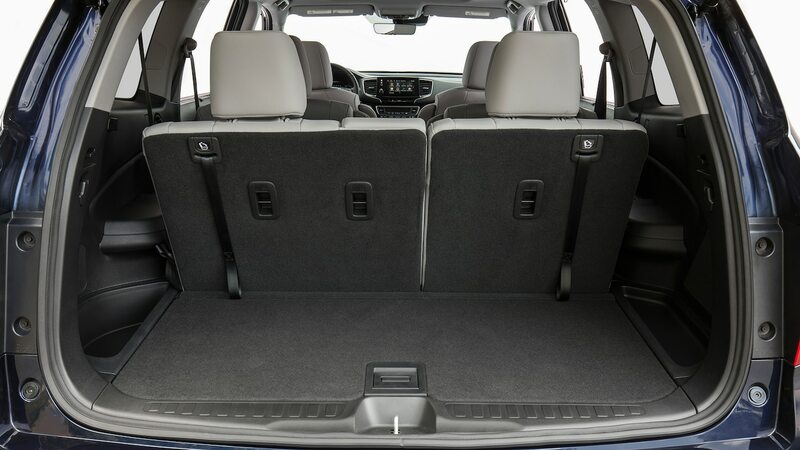 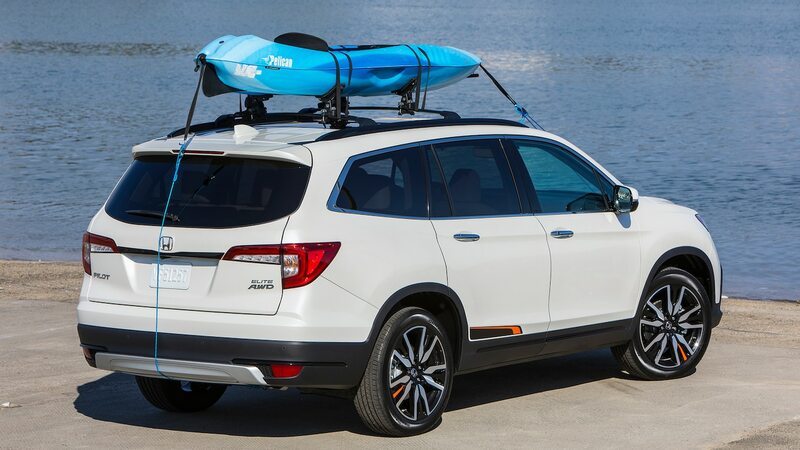 The 2019 Honda Pilot received a host of changes—from an improved nine-speed transmission to a new infotainment system with CabinTalk and CabinControl, and updated styling—designed to maintain sales. 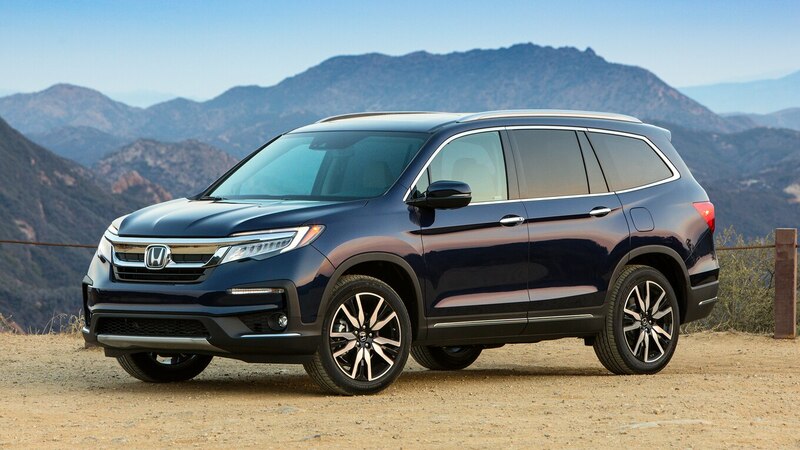 In our long-term 2016 Pilot Elite, we had the transmission replaced under warranty at 21,428 miles (34,485 km) after we experienced jerkiness and audible chirps. 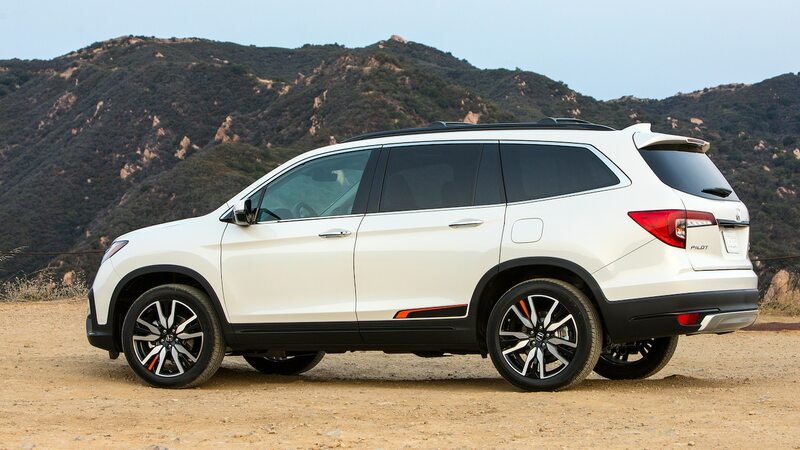 Editor-in-chief Ed Loh, who chaperoned that Pilot and documented his experience in a couple of updates, still wasn’t pleased with how the new ZF-supplied transmission behaved, noting poor acceleration and slow response from the paddle shifters. 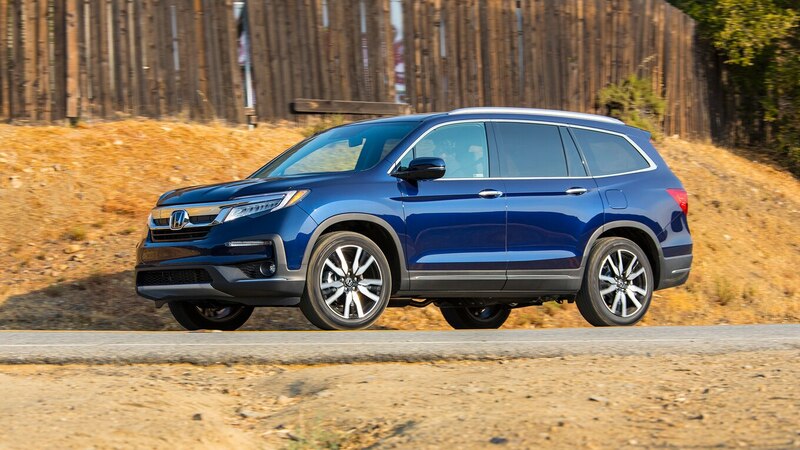 So it seems like Honda listened to us and to many customers who complained about the transmission’s behavior. 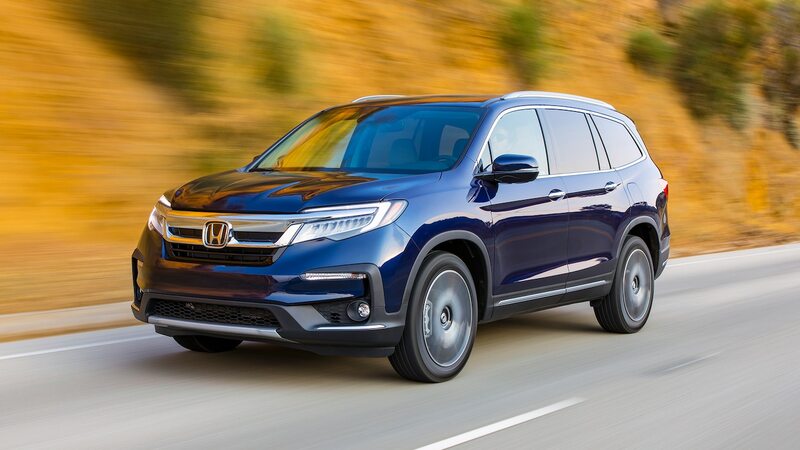 For 2019, the Pilot’s nine-speed gearbox got hardware and software changes that address these issues. 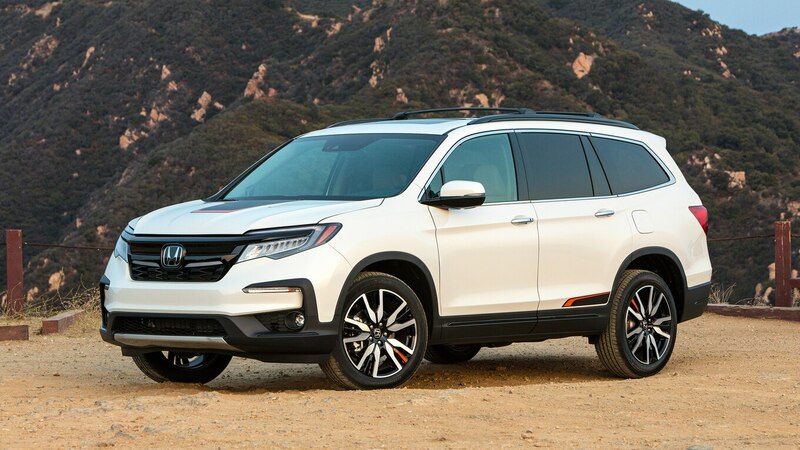 Honda replaced the clutch and hydraulics to help shift speed and consistency, and modified the valve structure to improve persistent shifts. 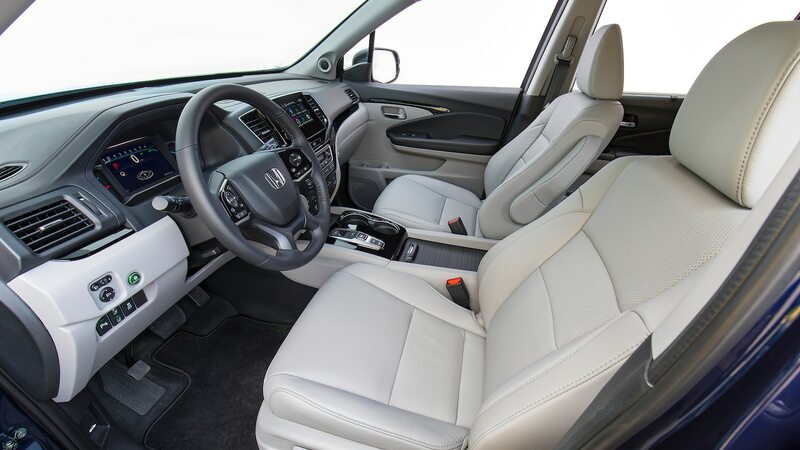 Honda claims the response from the paddle shifters is faster, and that it’s updated the shift selection strategy to maintain performance and combat shift frequency. 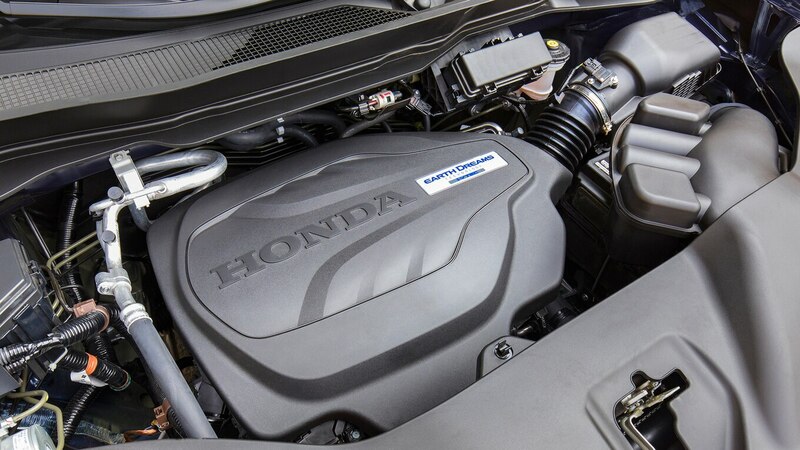 Honda made other revisions to the start-stop system, which now starts the engine a little more swiftly. 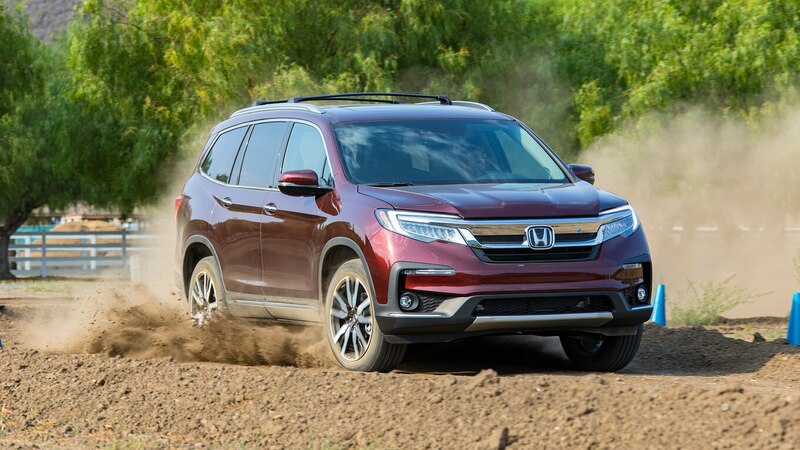 In normal driving conditions, the transmission will start in second gear for a smoother launch, but that changes when driving is more aggressive or when the Pilot is in Sport mode. 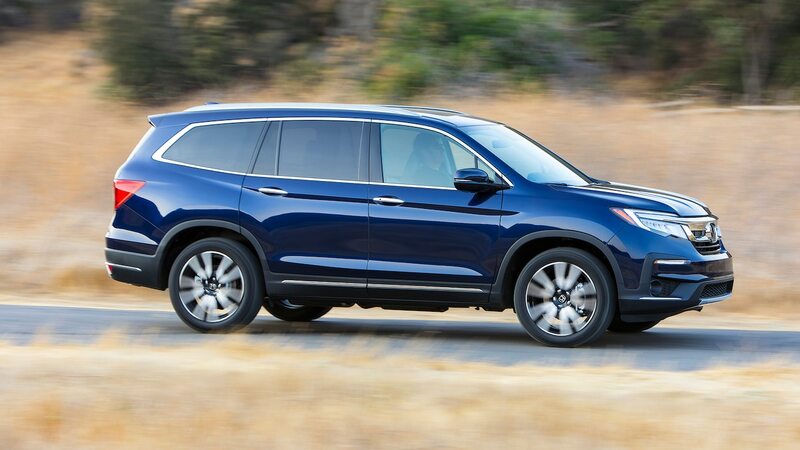 We spent a few hours driving the 2019 Honda Pilot Elite on Southern California’s twisty roads and highways and noted the changes in the transmission. 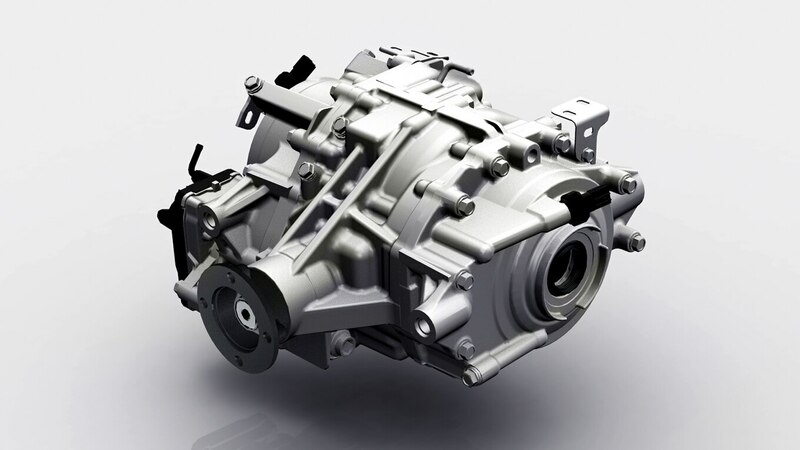 The shifts happen smoothly and at the right time, although the gearbox is always hunting for the highest gear to enhance fuel economy. 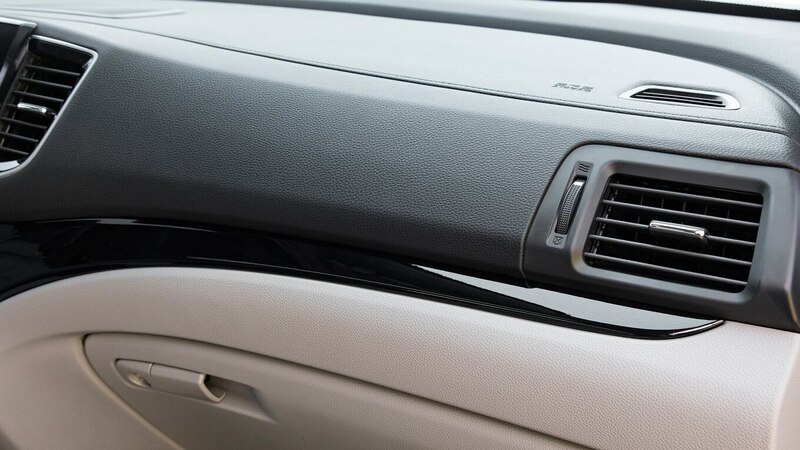 That changes when driving in Sport mode, where the engine revs at higher rpms and the shifting can be done using the paddles, which showed no delay. 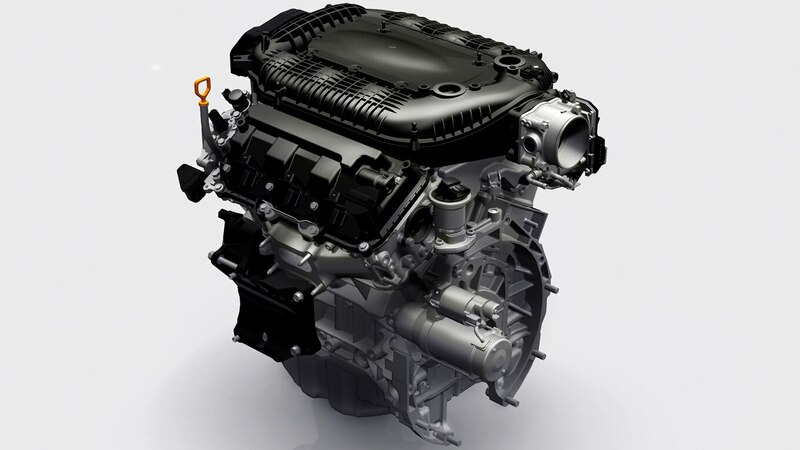 The start-stop system also acts quicker when restarting the engine in Sport mode, though you’ll still notice noise and vibrations whether the engine is on or off. 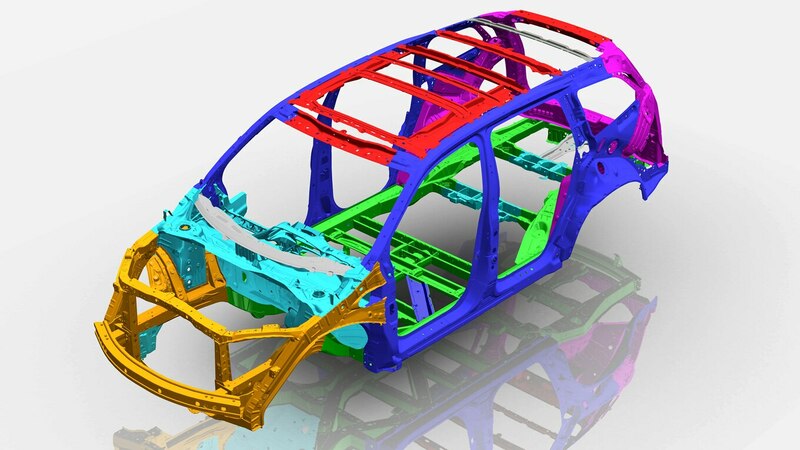 The system isn’t as smooth as those we’ve seen in the recent Fords and Chevrolets, but it isn’t as agitated as BMW’s. 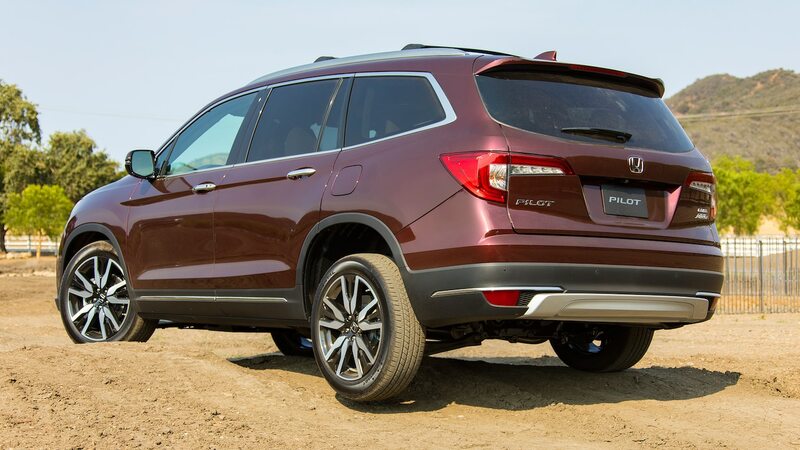 We’ll need to spend more time with the 2019 Pilot to make sure we don’t experience more issues. 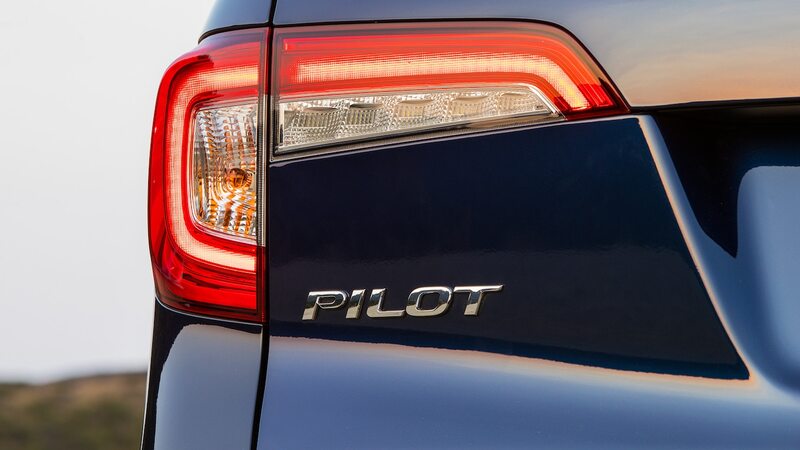 Regardless of the trim, all Pilots are propelled by the same 3.5-liter V-6 engine that develops 280 hp and 262 lb-ft of torque. 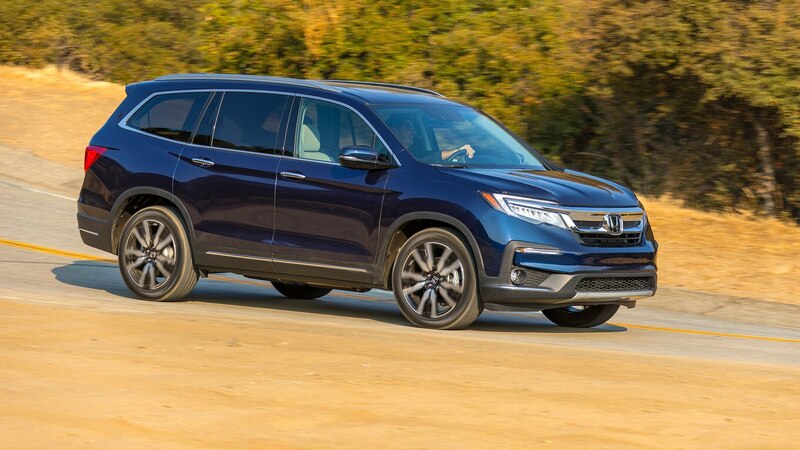 LX, EX, and EX-L trims come with a six-speed automatic transmission, and Touring and Elite models get the upgraded nine-speed. 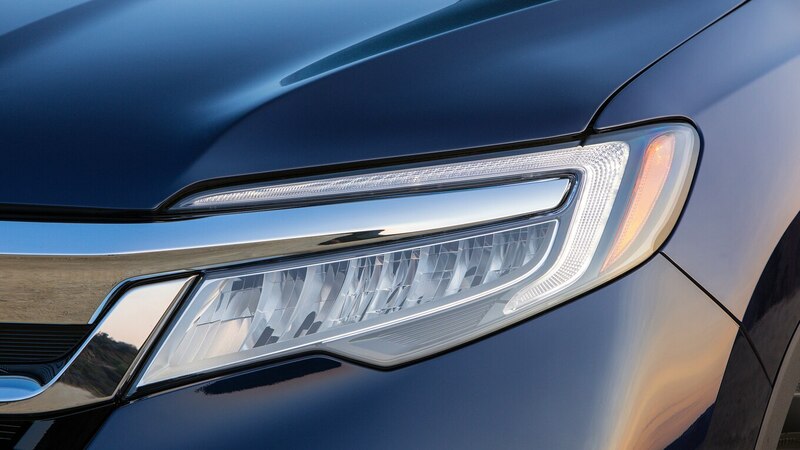 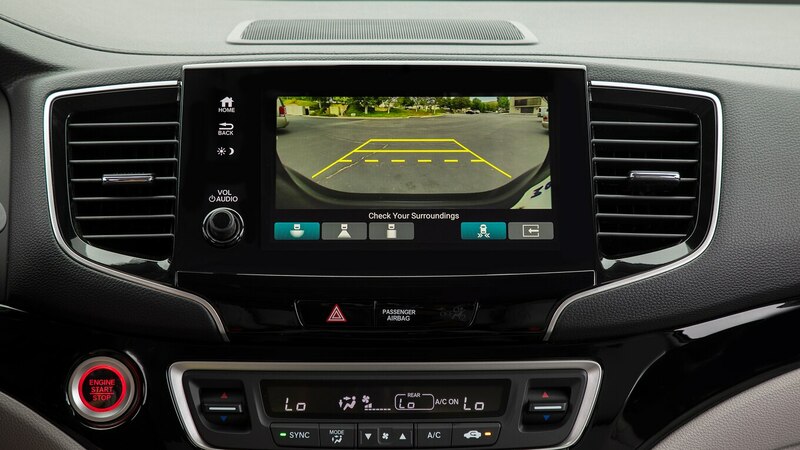 In a push to bring more safety to Honda owners, the Japanese brand has implemented Honda Sensing as standard equipment on all Pilots, which means you get forward collision warning with emergency braking, road departure mitigation, lane keep assist, and adaptive cruise control. 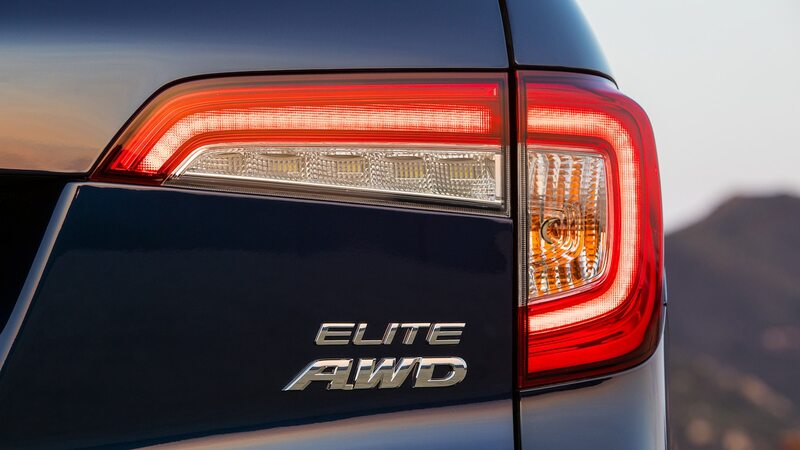 However, blind–spot monitoring and rear-cross traffic alert are only standard on EX, EX-L, Touring, and Elite models. 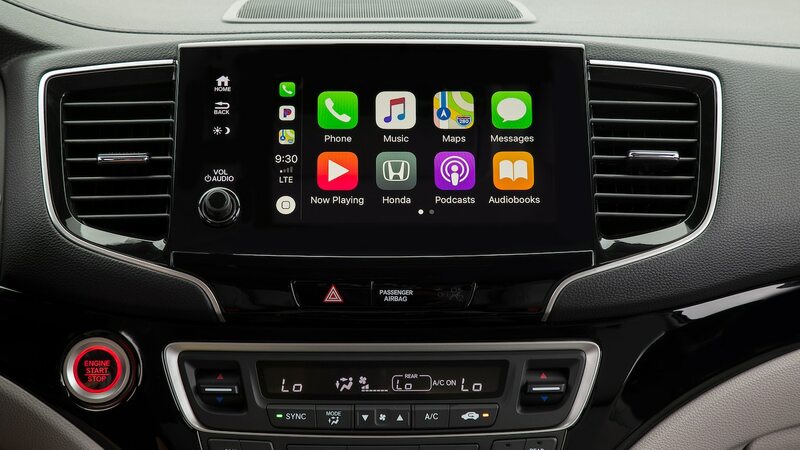 In terms of tech, the 2019 Pilot comes with Apple CarPlay and Android Auto on EX and above trims, and it adds Honda’s new infotainment system, which gets CabinControl (EX and above) and CabinTalk (EX-L and above). 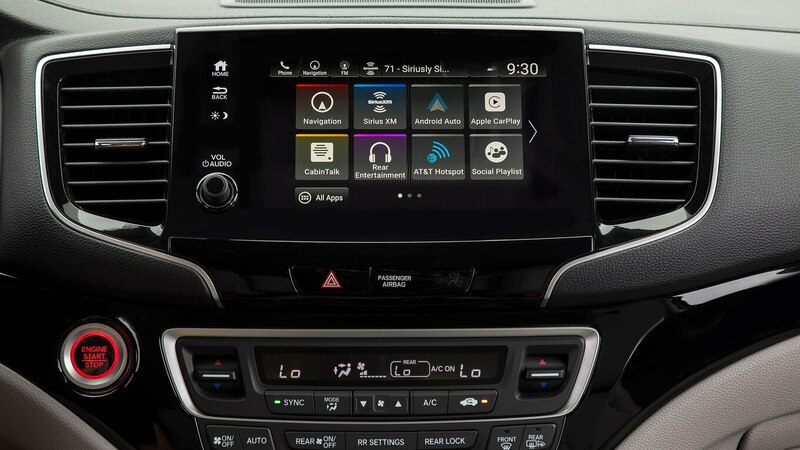 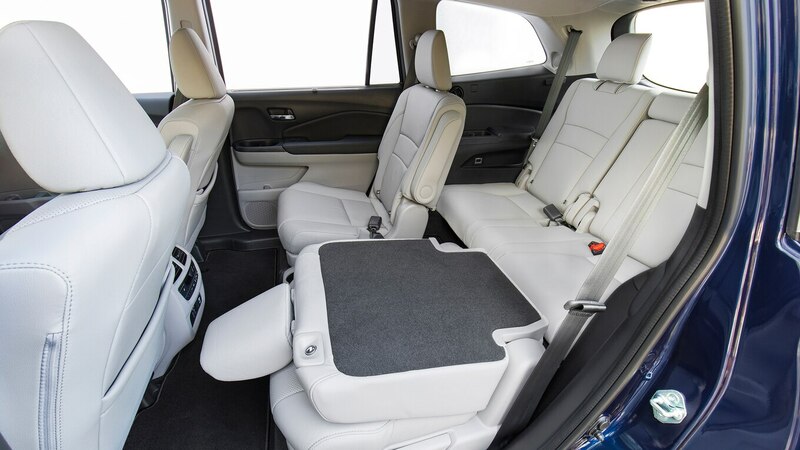 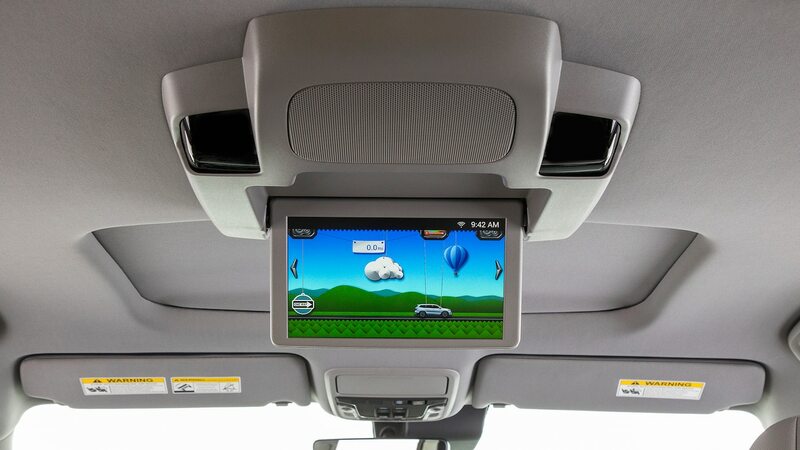 CabinControl, a downloadable smartphone app we first saw on the Odyssey, allows passengers to control the Pilot’s audio system, rear entertainment system (if equipped), and rear climate control system. 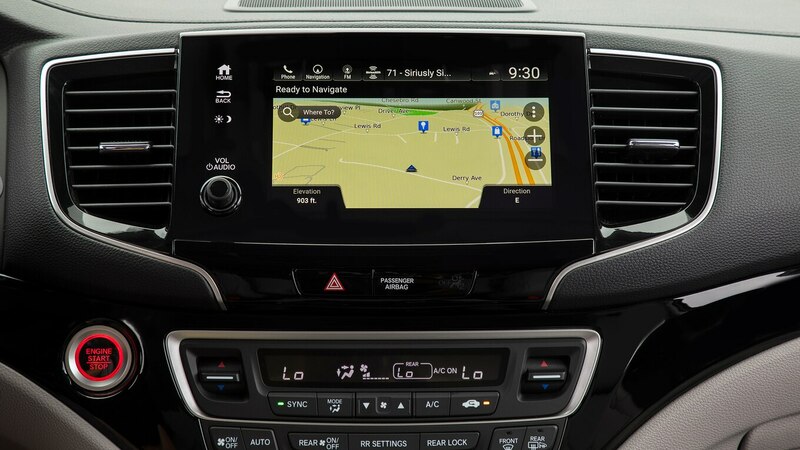 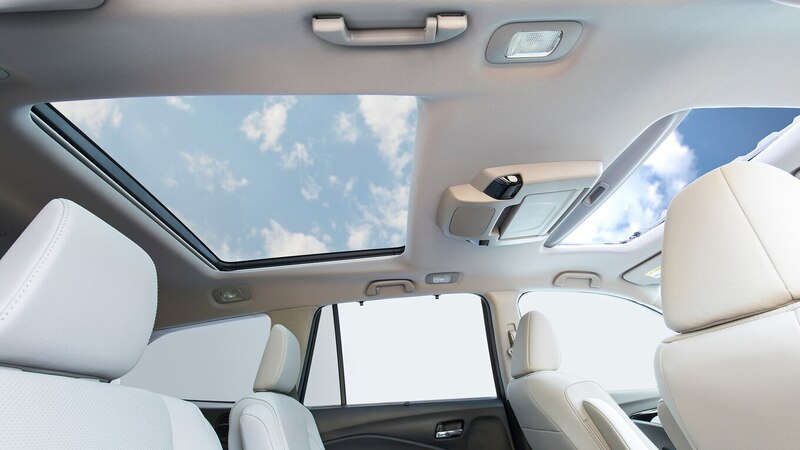 The passenger can also send the Pilot’s navigation system a specific address directly from his or her smartphone, which can be helpful to the driver. 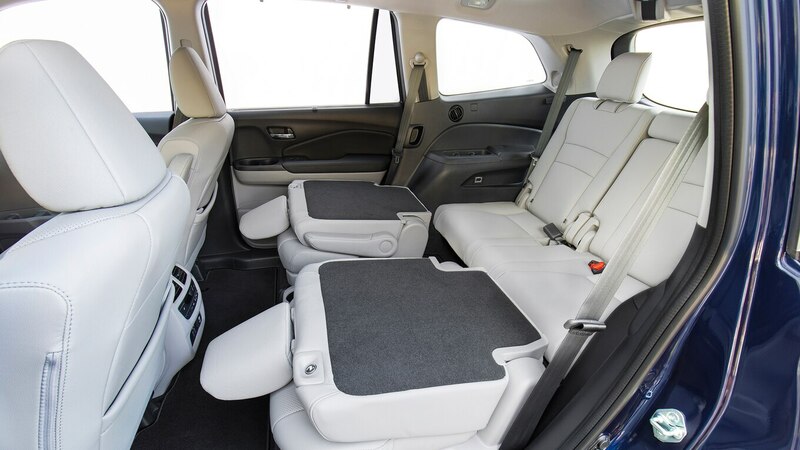 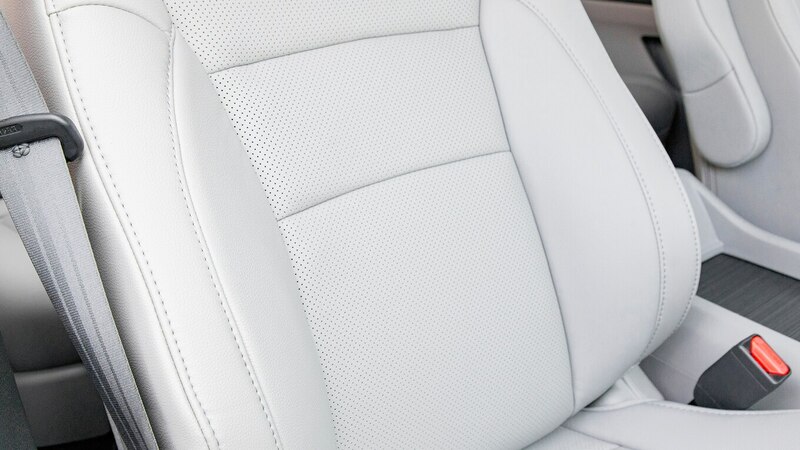 With CabinTalk, the driver can talk to backseat passengers through headphones when they’re watching a movie, or through the rear speakers. 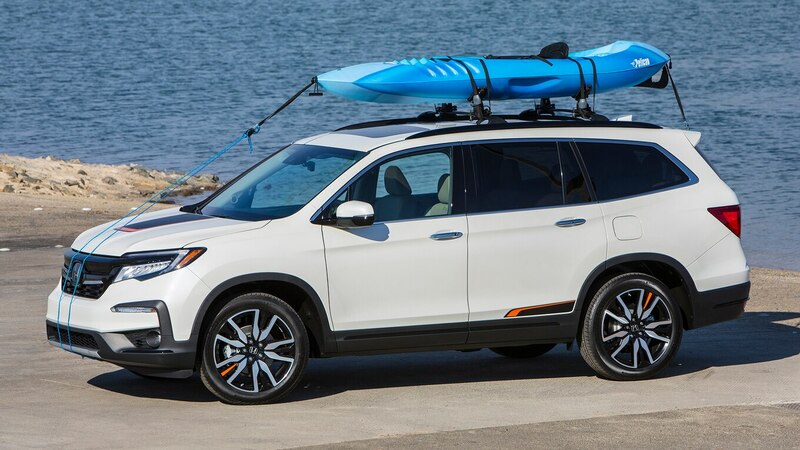 Wireless charging makes its way into the 2019 Pilot Elite, and a hands-free tailgate is now standard on Touring and Elite. 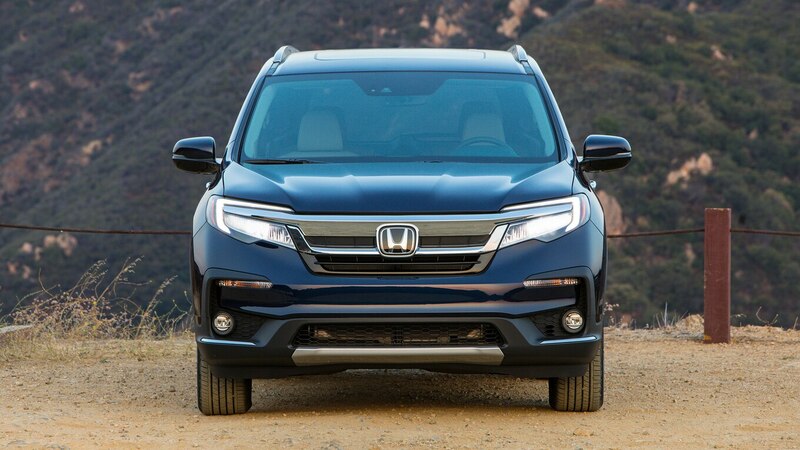 As we previously reported, the Pilot receives an updated front fascia, and there’s a new skid garnish on the lower part of the front bumper. 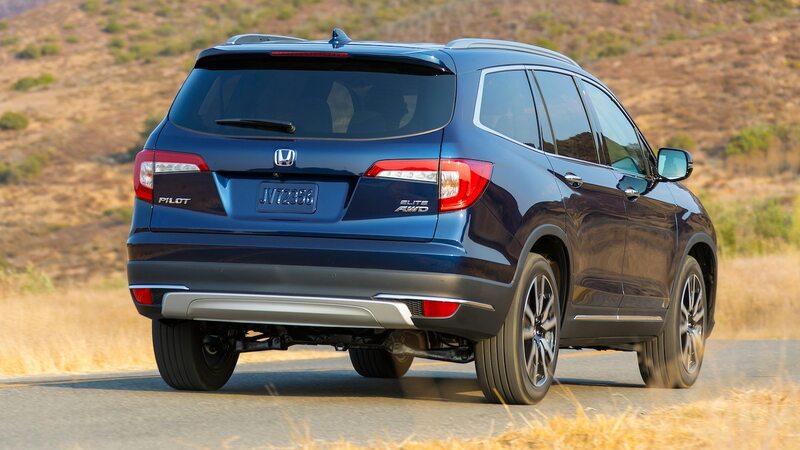 On the back, the taillights have been redesigned, as well as the rear bumper. 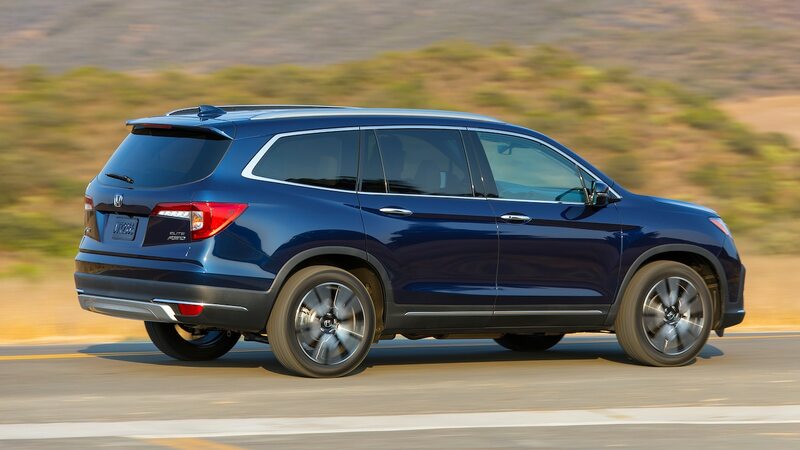 Unless you’ve owned a 2018 Pilot or are looking at one side by side with the 2019 model, the changes are hard to see at first glance. 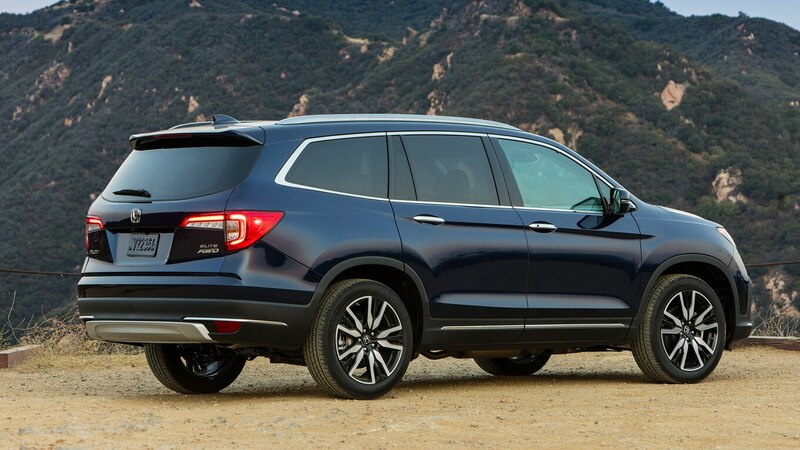 Something that will distinguish the 2019 Pilot is the cool graphics package ($350 USD), which includes decals for the center of the hood, vehicle sides, and wheels. 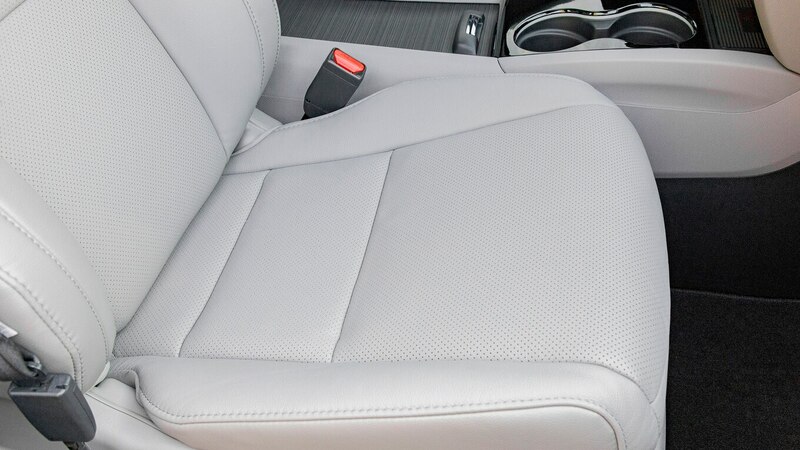 The package is available in silver, blue, red, and orange and can be added as an accessory. 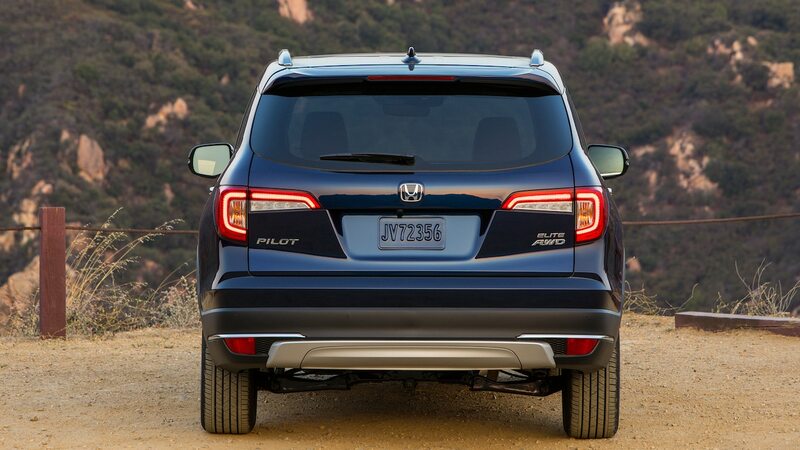 If you want your Pilot to look sportier, this is definitely the way to go. 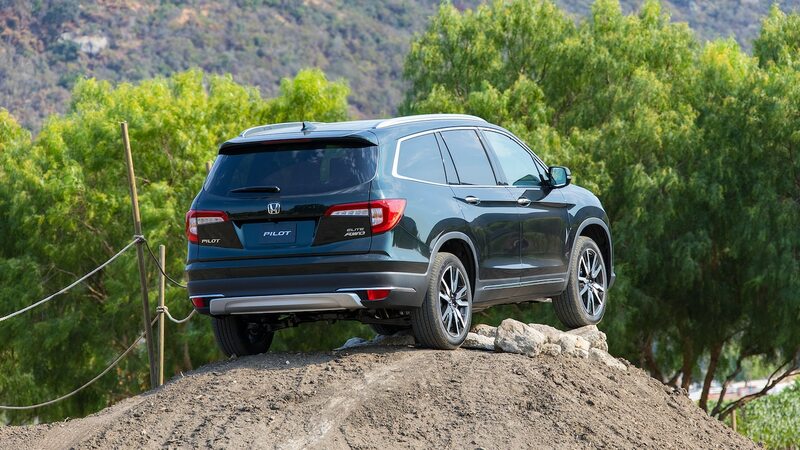 Besides doing a regular road drive, we also tested the Pilot on an off-road track. 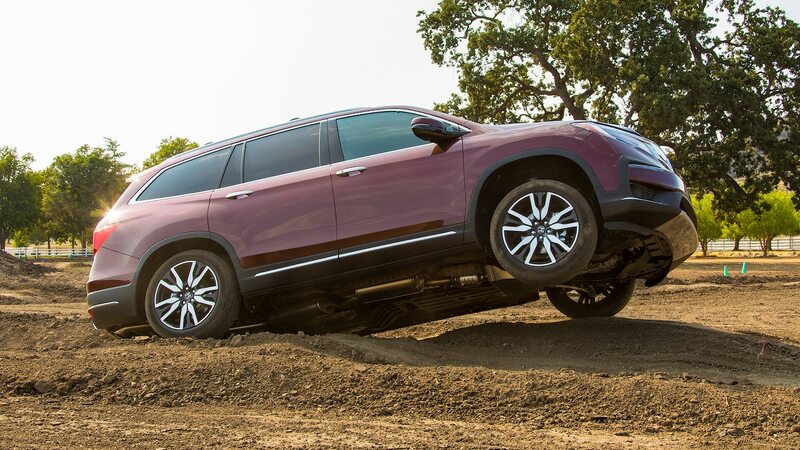 Although this course was specifically built for the Pilot, it was way more dramatic than what the average consumer would do with a three-row SUV. 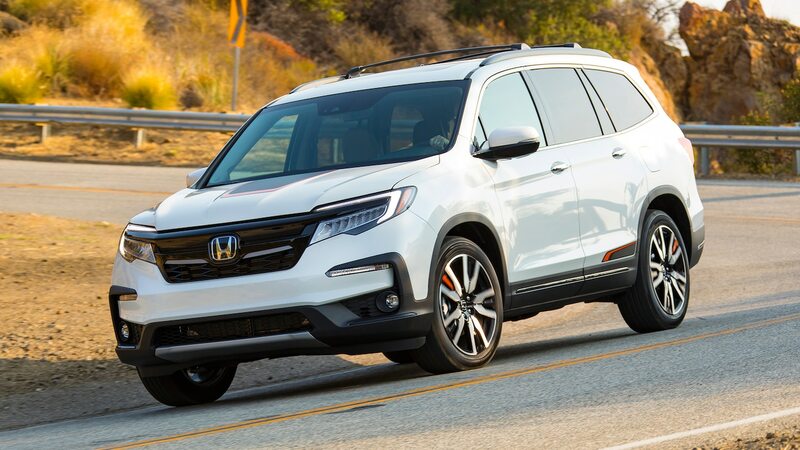 Equipped with torque vectoring control, the Pilot’s system can send up to 70 percent of the torque to the rear wheels and 100 percent of that torque to either the left or right rear wheel. 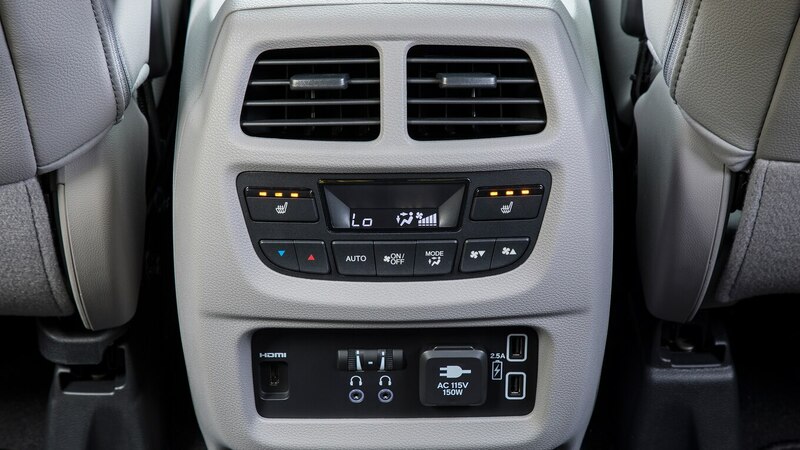 There are four modes available: Normal, Snow, Mud, and Sand. 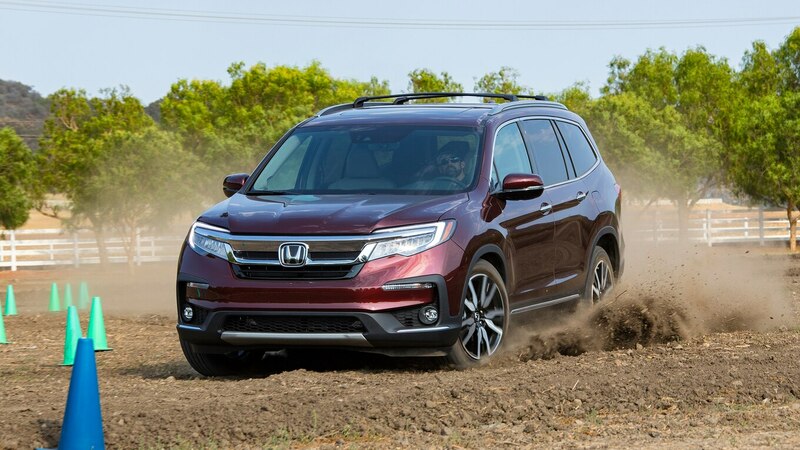 These change different settings, from throttle mapping to AWD management, that suit the Pilot to the specific terrain. 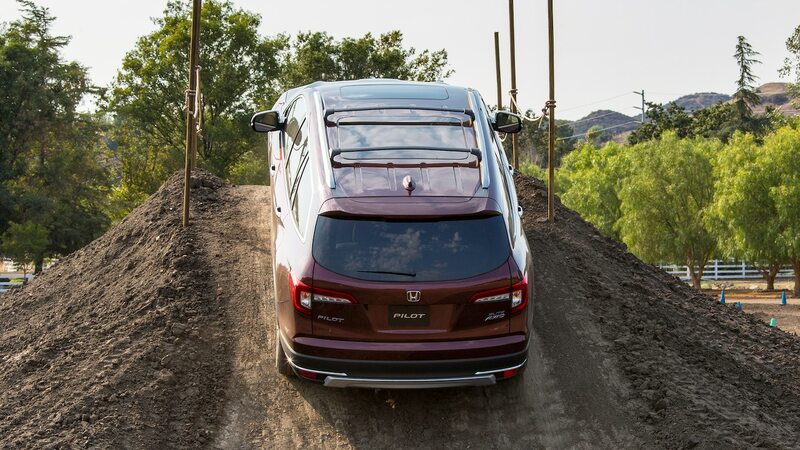 Sand mode was the correct mode to use on this off-road course, which had dirt mounds, steep inclines, river rocks, and dirt holes. 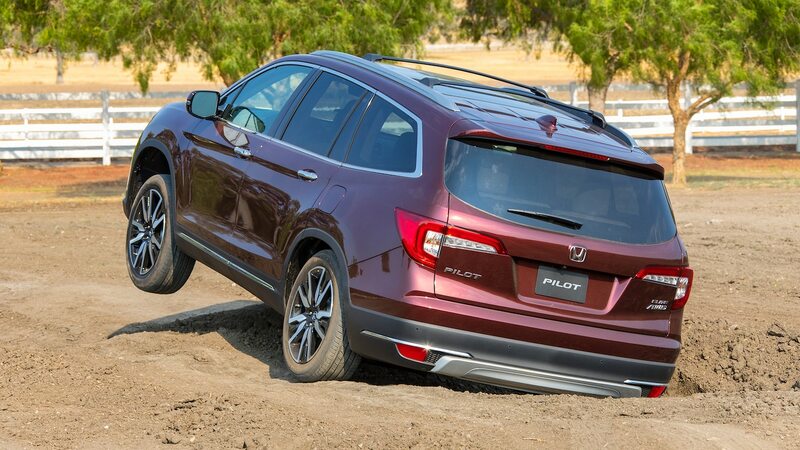 It was amusing getting the Pilot on three wheels, but it was even more fun sliding the rear end through the high-speed dirt section. 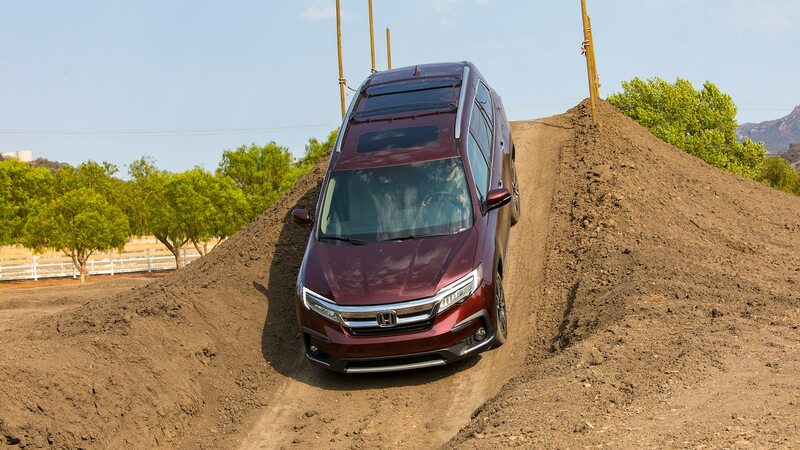 It’s obvious that when a manufacturer builds an off-road track for its vehicle on a press launch, said car is not going to get stuck. 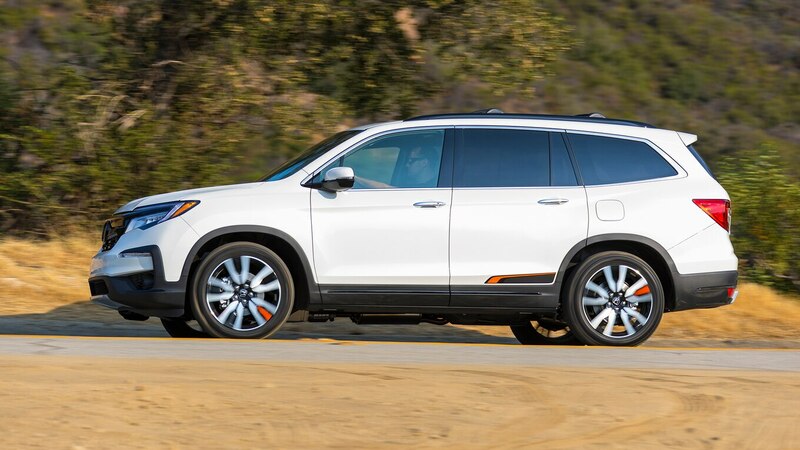 However, it was fascinating to see a family SUV go through the course with no trouble. 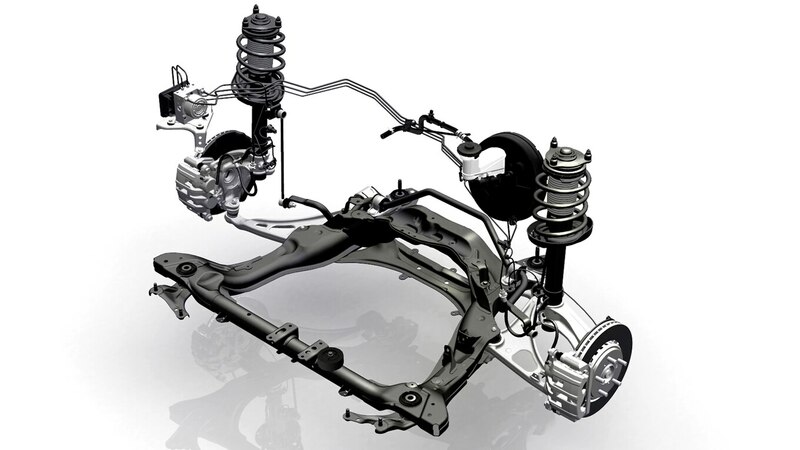 I also got a chance to tow a Civic Si race car that weighted 2,700 pounds (1,225 kg) on a 1,200-pound (544-kg) trailer. 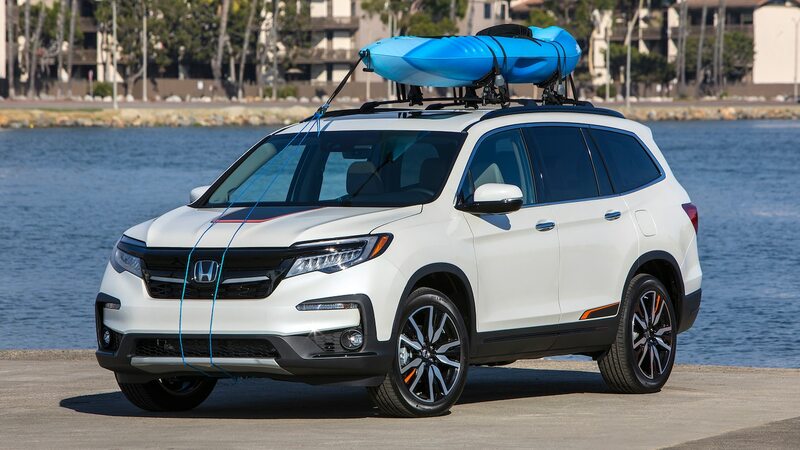 Pilots with front-wheel drive can still tow up to 3,500 pounds (1,587 kg), but those with AWD can tow 5,000 pounds (2,268 kg), which should be enough to tow a boat depending on the size. 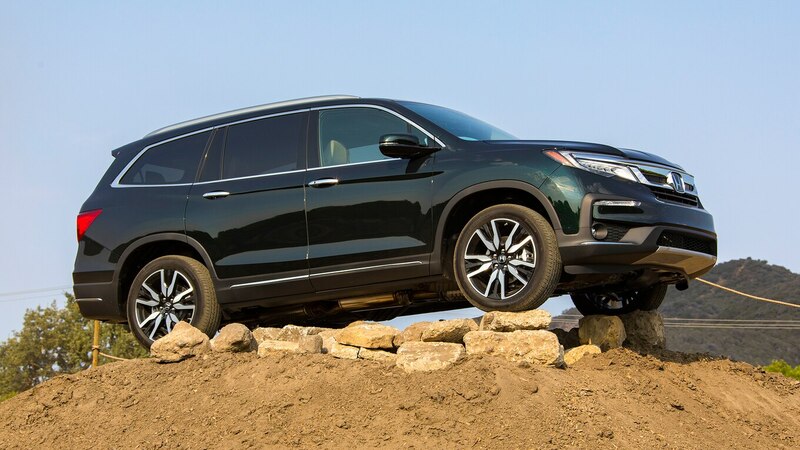 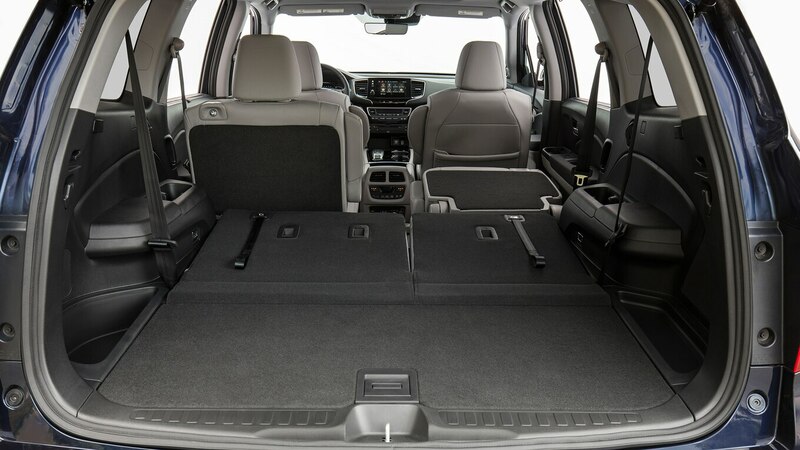 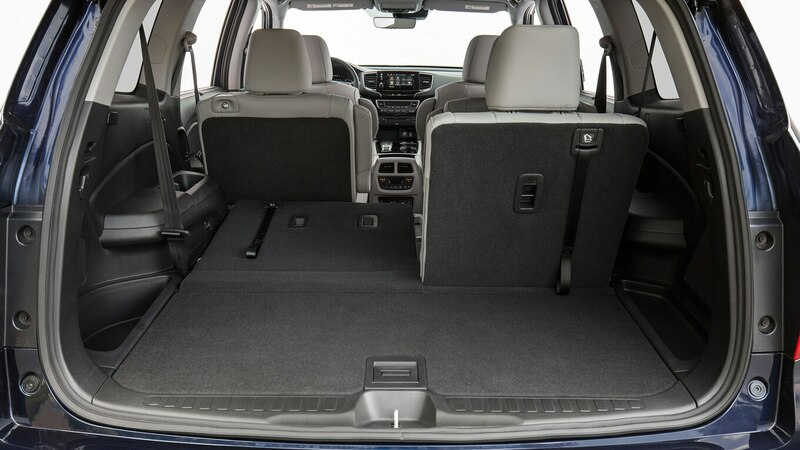 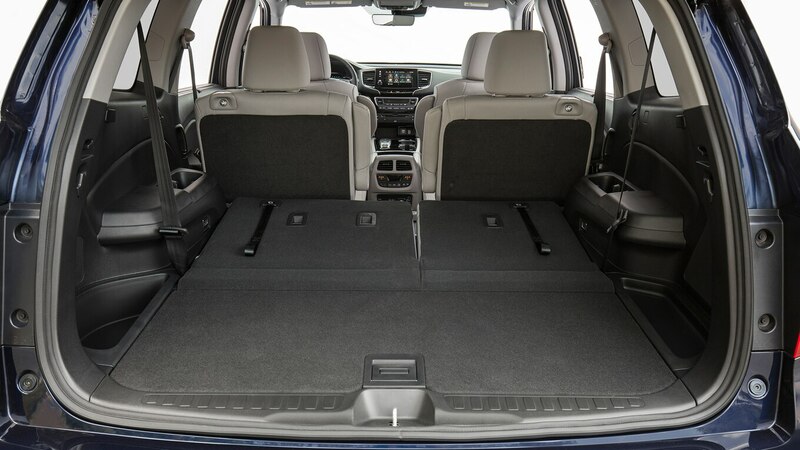 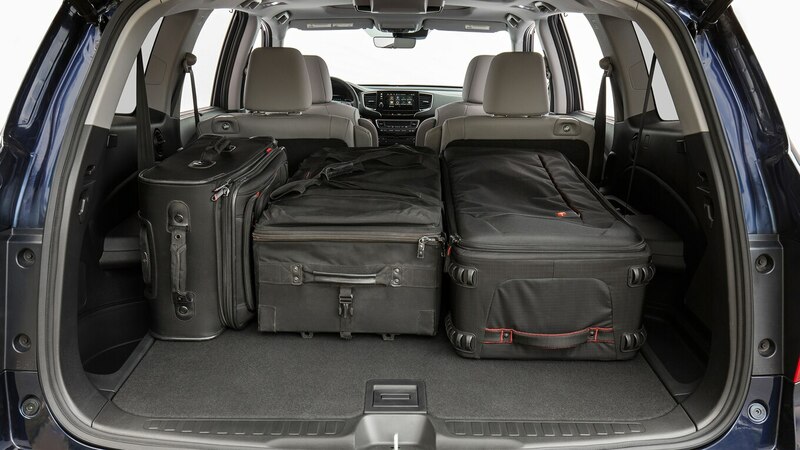 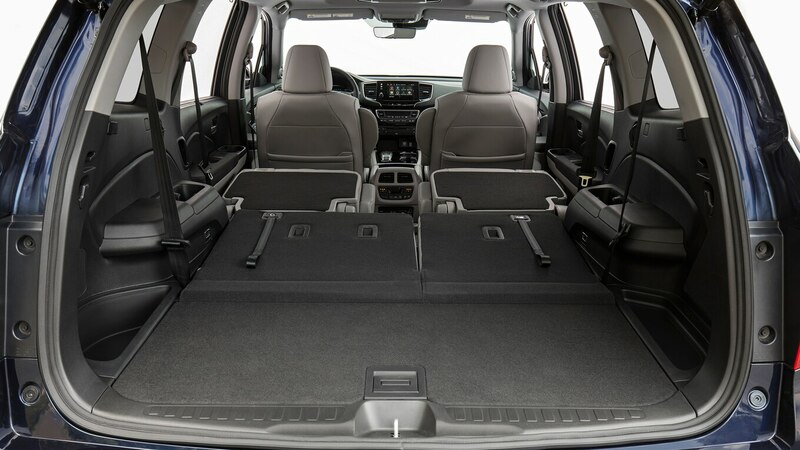 When towing 3,900 pounds (1,769 kg), the 2019 Pilot Elite AWD felt confortable. 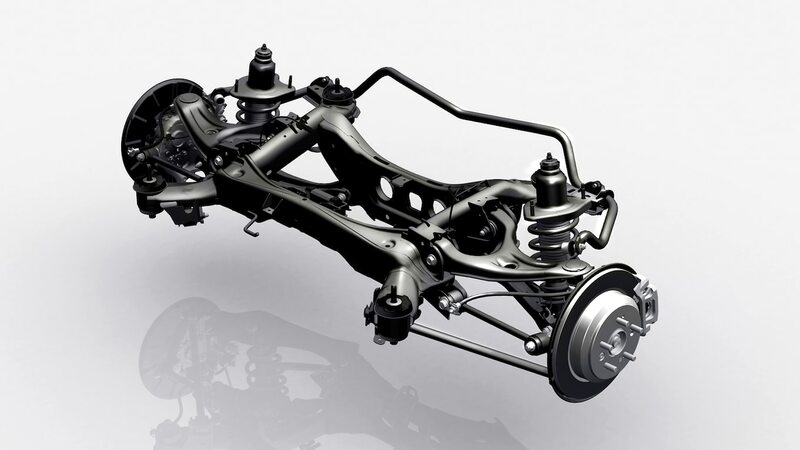 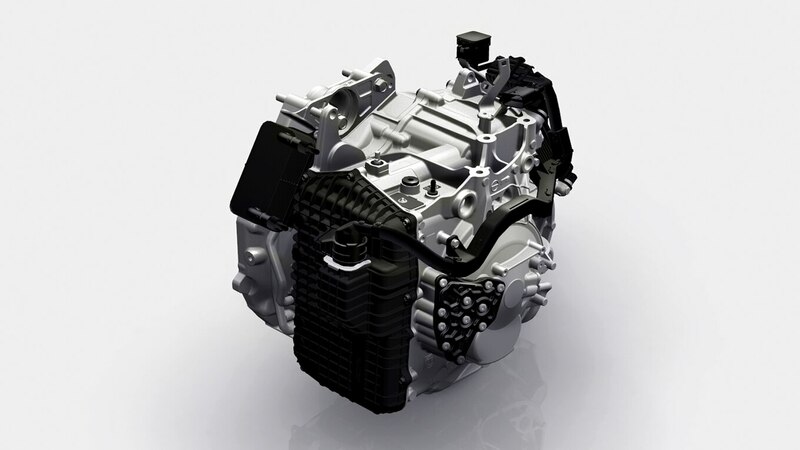 The transmission holds gears longer, and when going uphill, the engine revs much higher to provide more torque. 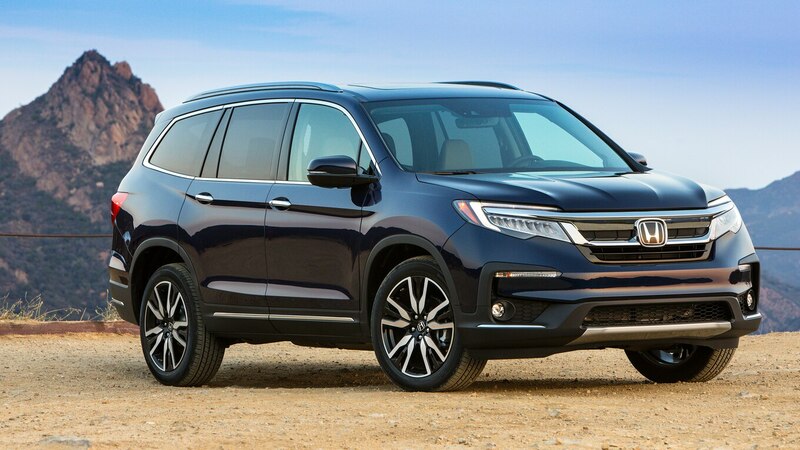 The Pilot I drove to test towing was equipped with a towing package that includes a hitch receiver ($360 USD); hitch wire harness ($225 USD) and a transmission cooler ($385 USD). 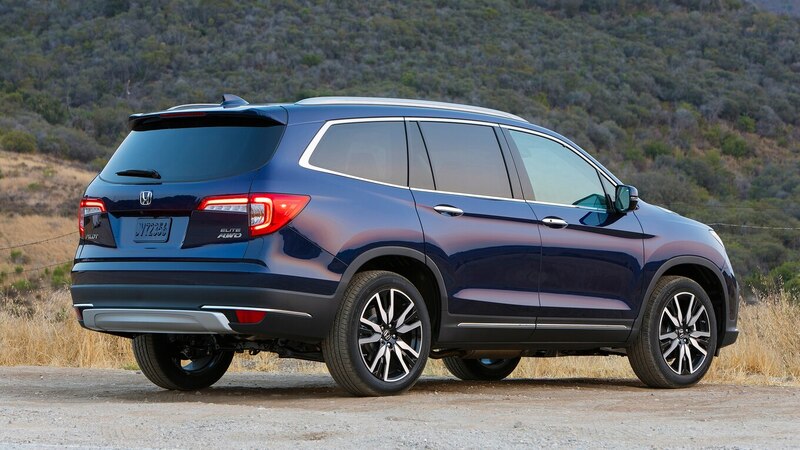 It also had an aftermarket trailer brake because Honda doesn’t offer one. 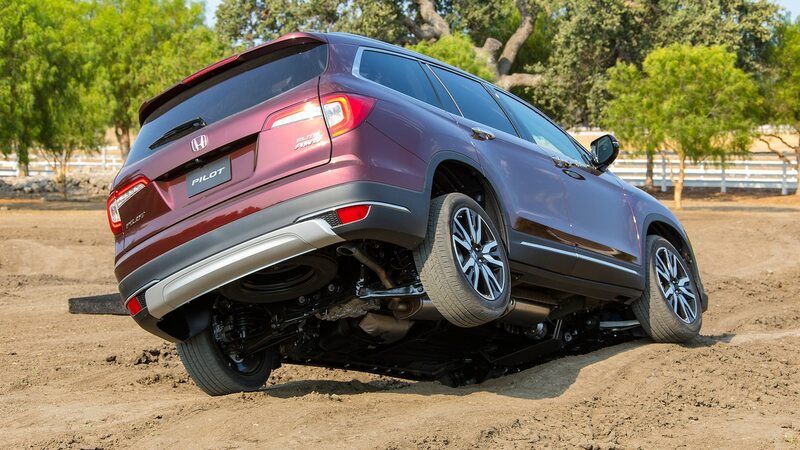 Honda says that if you tow less than 3,500 pounds (1,587 kg), you don’t need the transmission cooler. 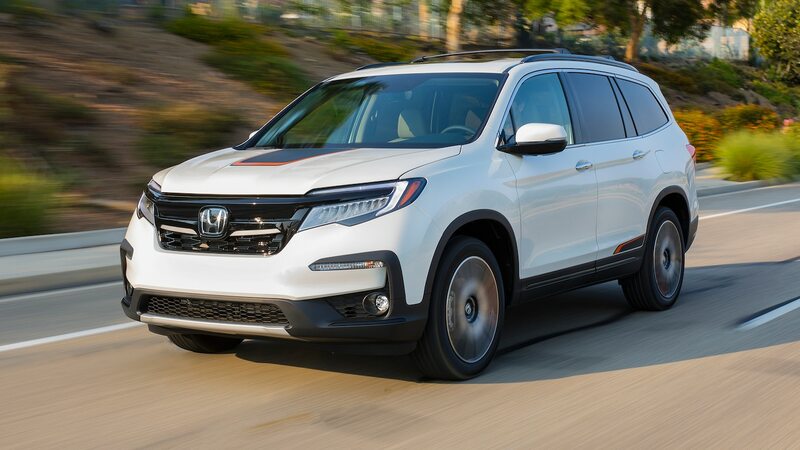 With prices starting at $32,445 USD and topping at $49,015 USD, Honda wants to keep the momentum going with its light trucks. 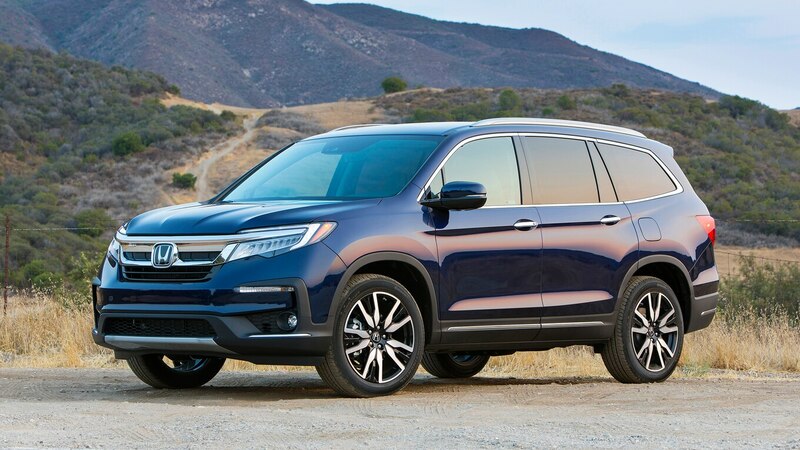 Pilot sales have increased over 38 percent through July of this year, and with more features, competitive pricing, and an updated transmission, Honda should have no problem maintaining that pace.